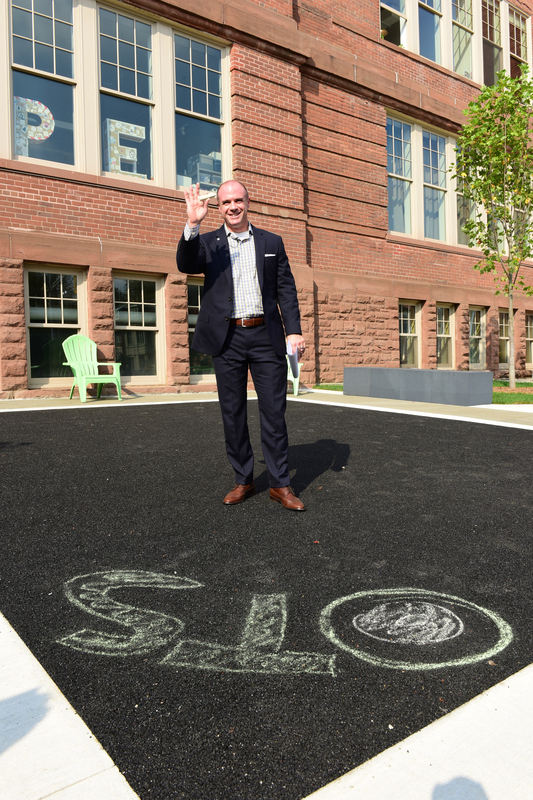 Can you imagine a community space reinvented using old tires? At OTS, we’re working with manufacturers and students to help make this happen – one tire at a time! 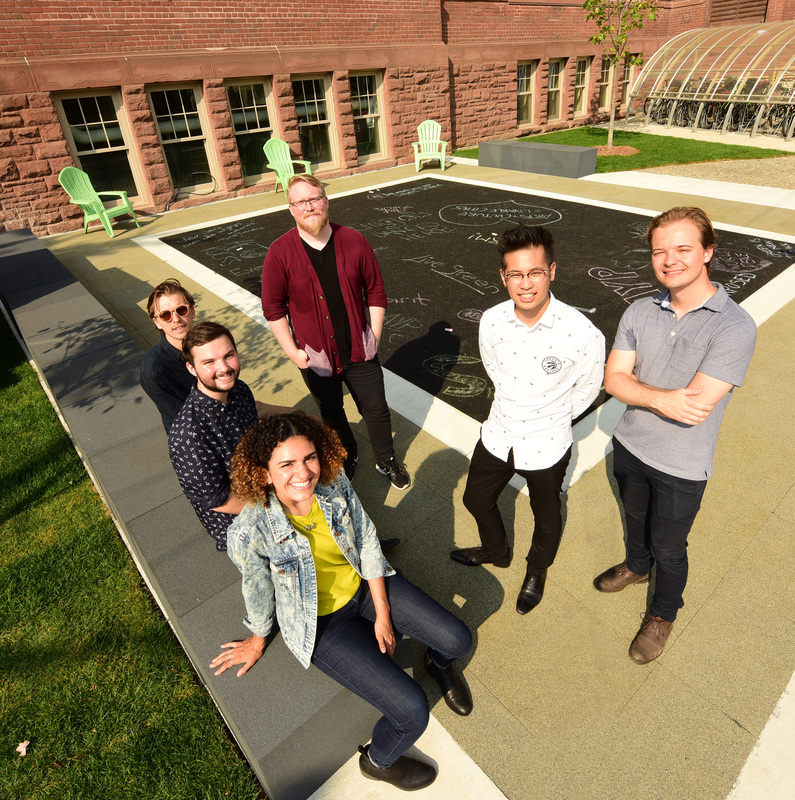 One of the most recent and ambitious projects involved students from the University of Toronto Landscape Design and Sheridan College Industrial Design programs who incorporated the equivalent of 854 recycled tires into Toronto’s cultural hub, Artscape Youngplace in a redesigned outdoor community space. In 2016, OTS hosted a Student Design Challenge, giving post-secondary student teams the chance to work alongside industry professionals to develop inventive concepts and present to judges. Now, over a year later, the two winning teams have brought their concepts to life for the community to enjoy. The innovative approach to sustainable design and creative use of recycled products helped bring this bustling urban space to life. 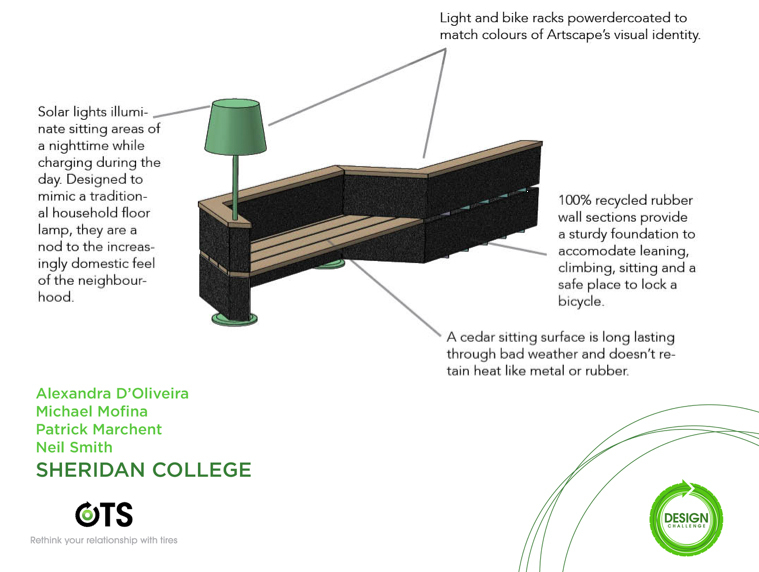 The Industrial Design Team at Sheridan College pushed the limits by introducing an entirely new use for recycled tires. 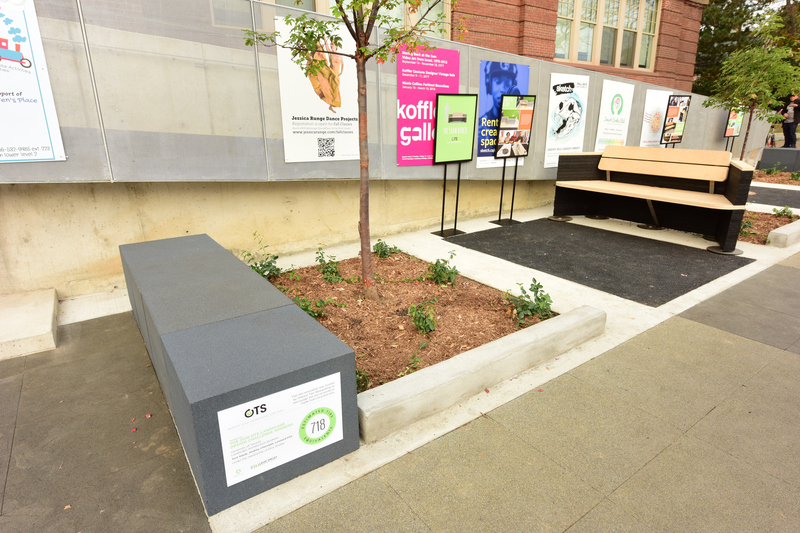 Dubbed the “Shaw Bench” – named after its first home on Shaw Street – the creative product design includes an integrated bench, planter and bike-rack with a modular design that makes the bench highly adaptable, allowing for a variety of configurations. The design shows the circular economy in action! Instead of sending their old tires to the landfill, consumers drop them off at a local tire collector to be recycled. 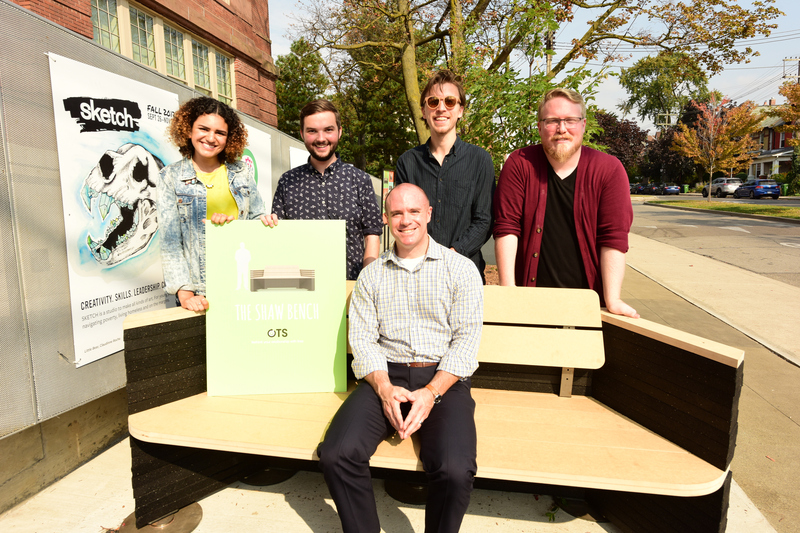 We engage bright young minds and industry to transform the material into new products, like the Shaw Bench, and manufacturing to bring it to life, creating jobs and environmentally friendly products for today’s conscious consumers to enjoy. Our goal is that this prototype will be mass produced in the future and integrated into municipalities across the province – talk about forward thinking! A recent Leger survey shows that nearly 9-in-10 (88%) Ontarians deem it important for governments, local municipalities, and developers to use, invest in, and incorporate sustainable materials into the planning and execution of local projects. 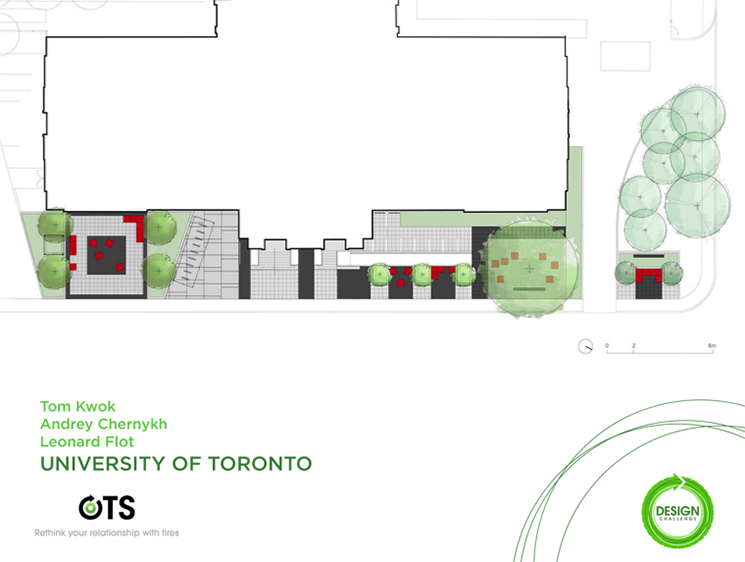 The newly designed Artscape Youngplace space shows what it means for Ontario’s landscape, design and arts community to come together and create innovative new and sustainable products in an urban environment. Unique Rubber Cube seats made by Shercom Industries Inc.